Cheondoism Beliefs - What are the beliefs of the Cheondoist (Chondogyo) religion? Cheondogyo means "religion of the Heavenly Way". 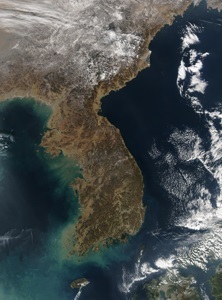 The ideas of Cheondoism are in derived from Confucianism, as well as the 19th Century Donghak movement. It also incorporates ideas of Korean nationalist, Taoism, and Buddhism. Cheondoism has rituals based on Buddhism that were added to Cheondoism by the Korean Emperor Gojong in the early 20th Century. Cheondoism rejects the idea of an afterlife. Adherents to the religion instead try to achieve a paradise on Earth. Cheondoism emphasizes moral virtue, propriety, and reforming society to remove old outdated Korean customs.